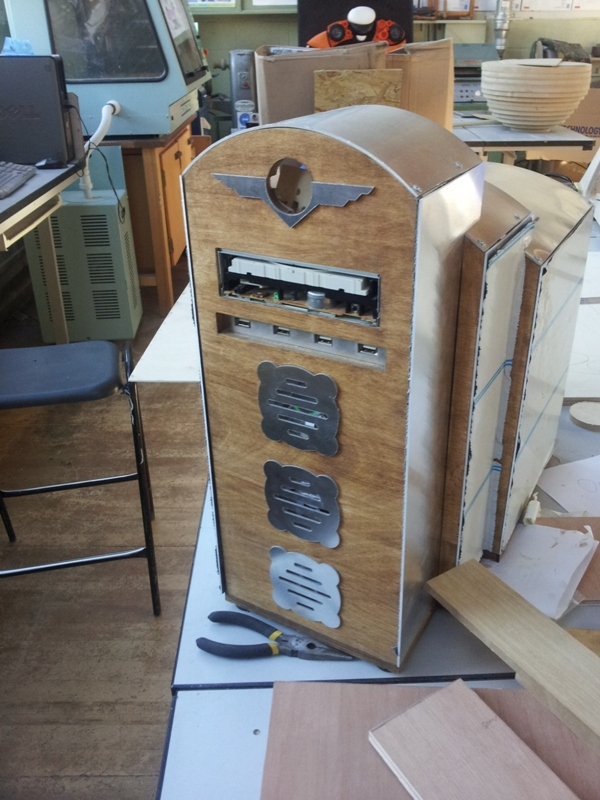 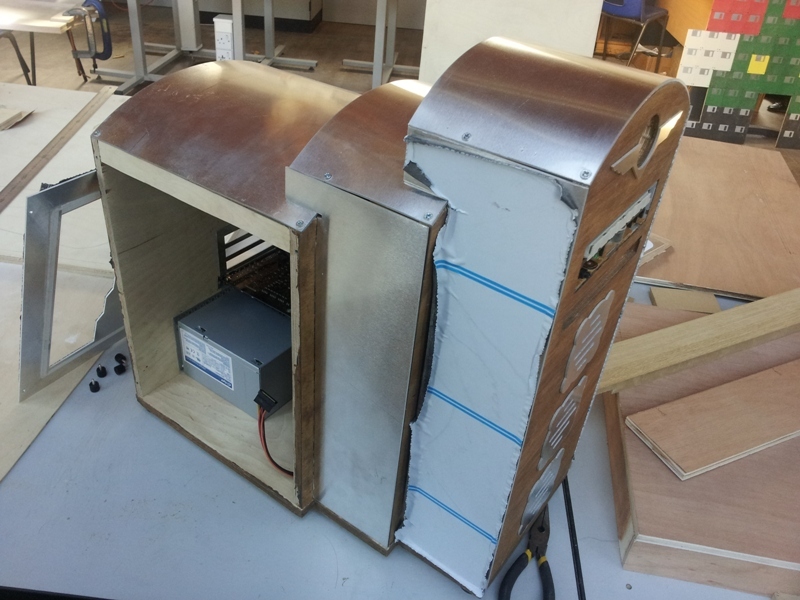 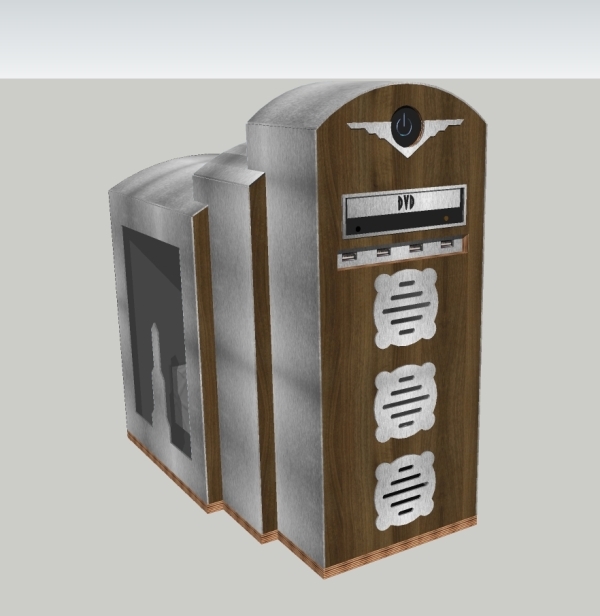 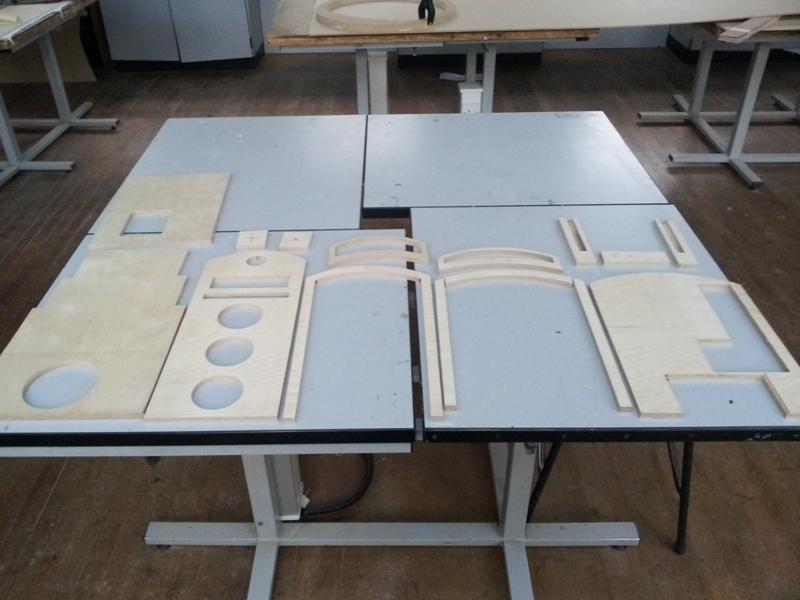 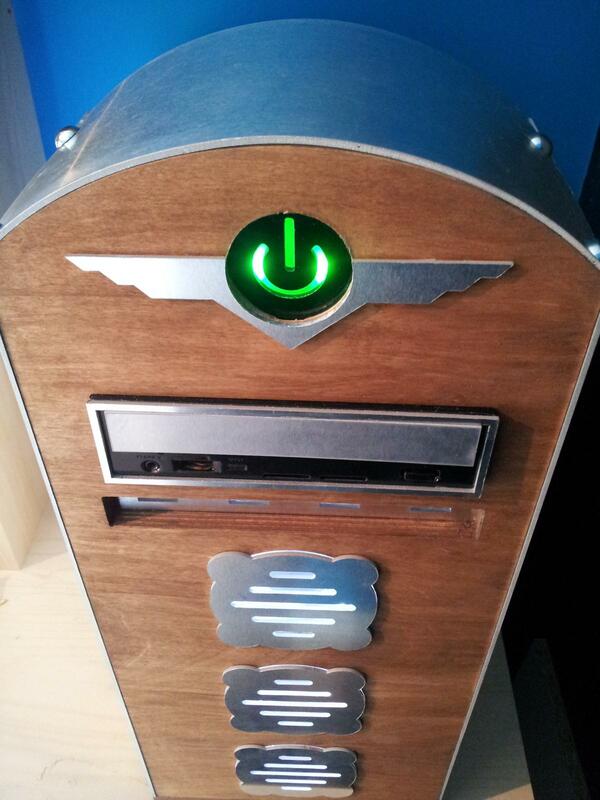 Undertaken as an A-Level Product Design project, the Art Deco PC was heavily inspired by American art deco architecture and also various video game art styles – primarily the Bioshock series. 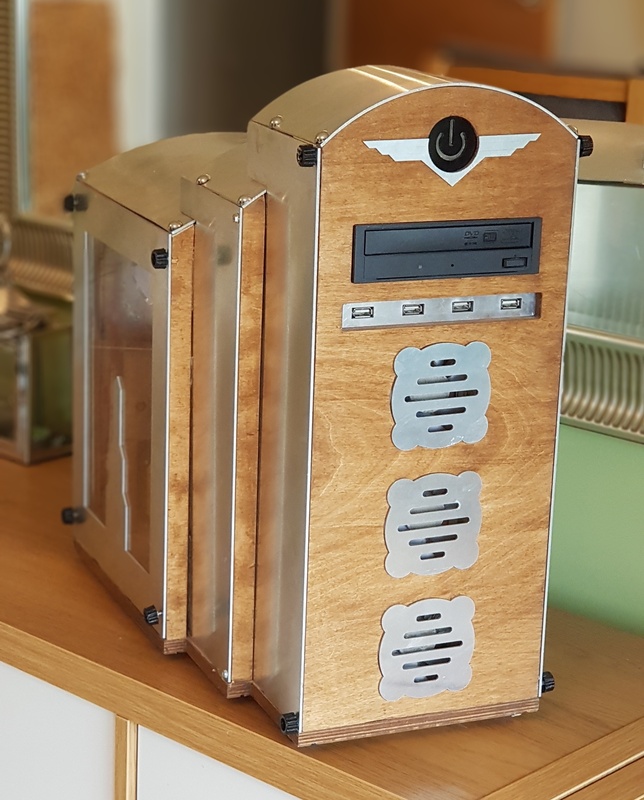 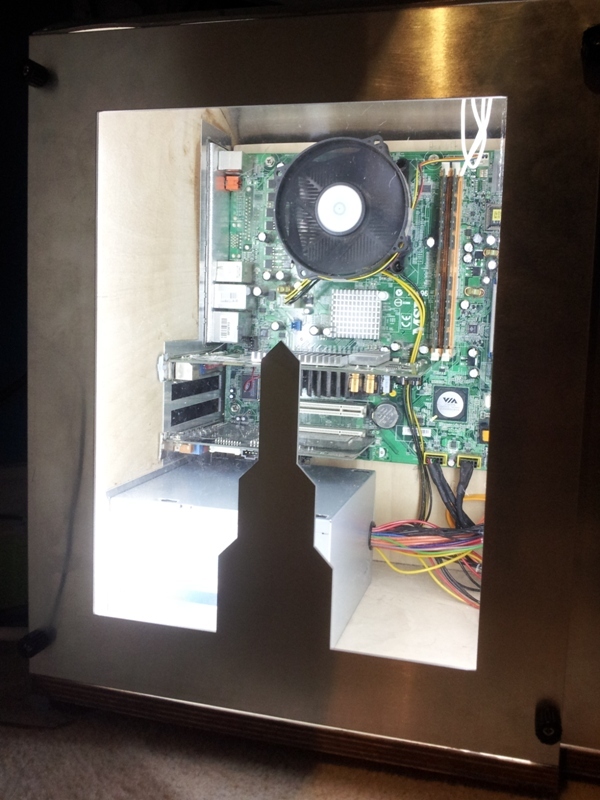 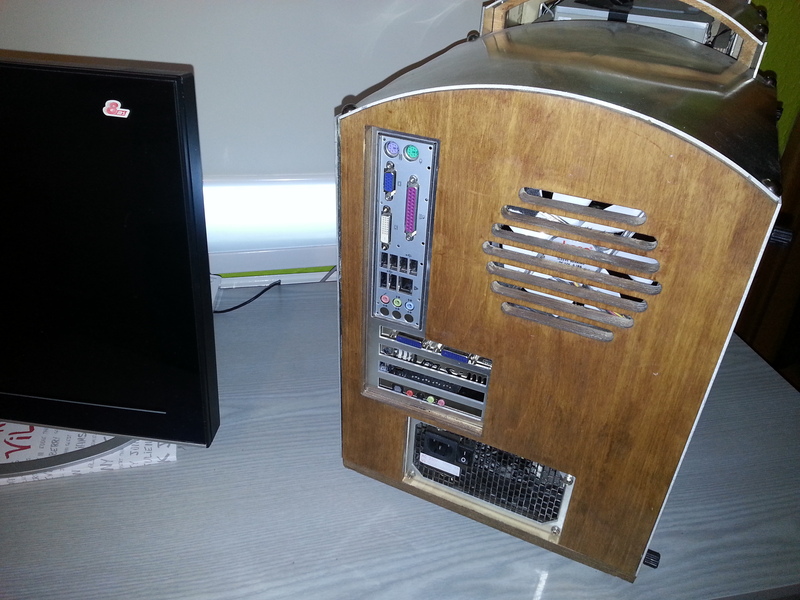 The Art Deco PC is a fully functioning Desktop PC case, with mounting points for ATX motherboards, up to 4 PCI cards, a standard power supply, a single Hard Drive and a single Disk Drive. 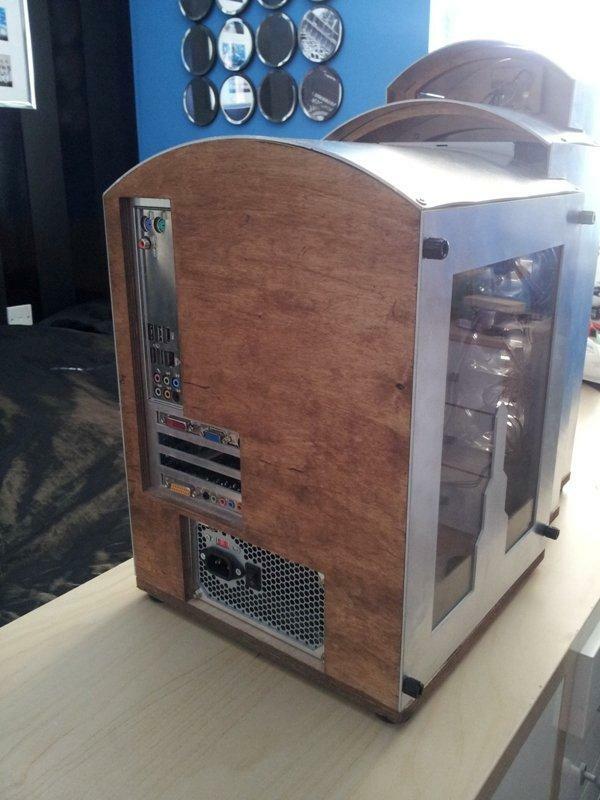 The PC is kept cool with 3 front 80mm LED fans and a single 120mm LED exhaust fan, as well as ventilation exhausts on the top of each tier. 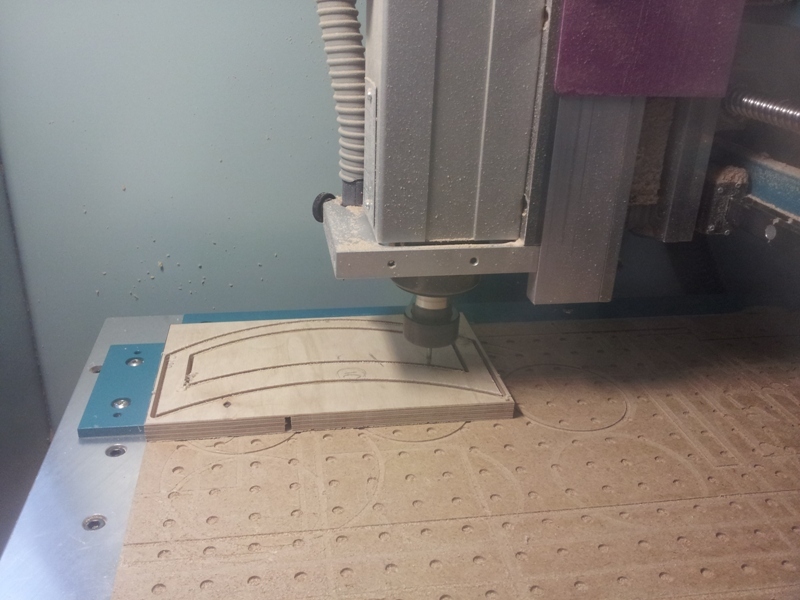 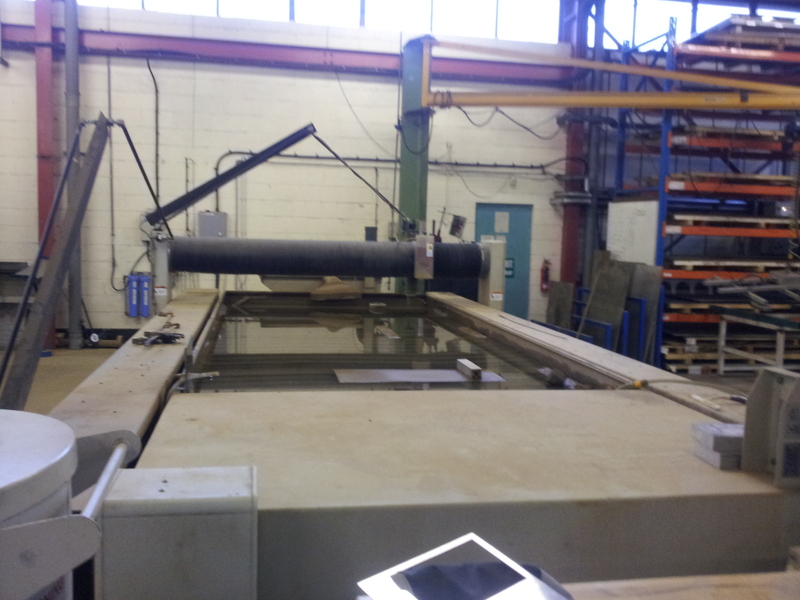 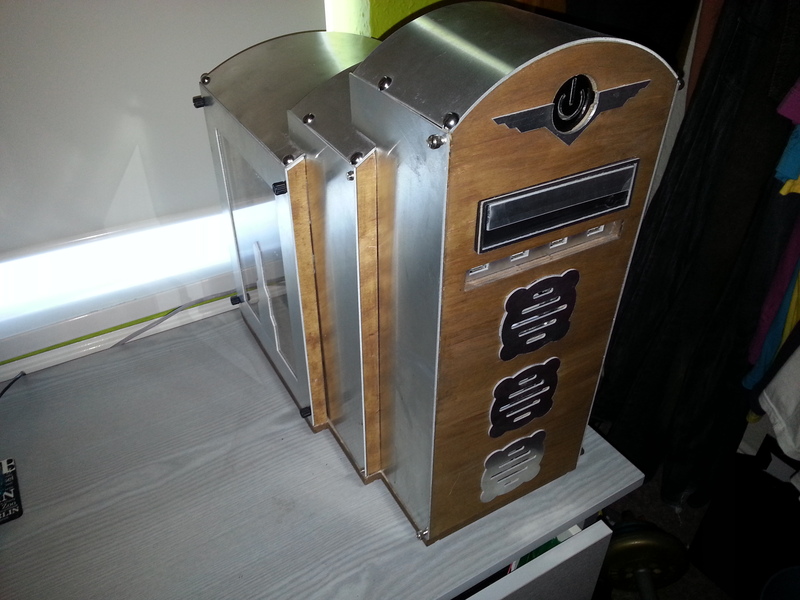 More recently, the design has been altered with new 3d printed mounting points for the side panels and disk drive.